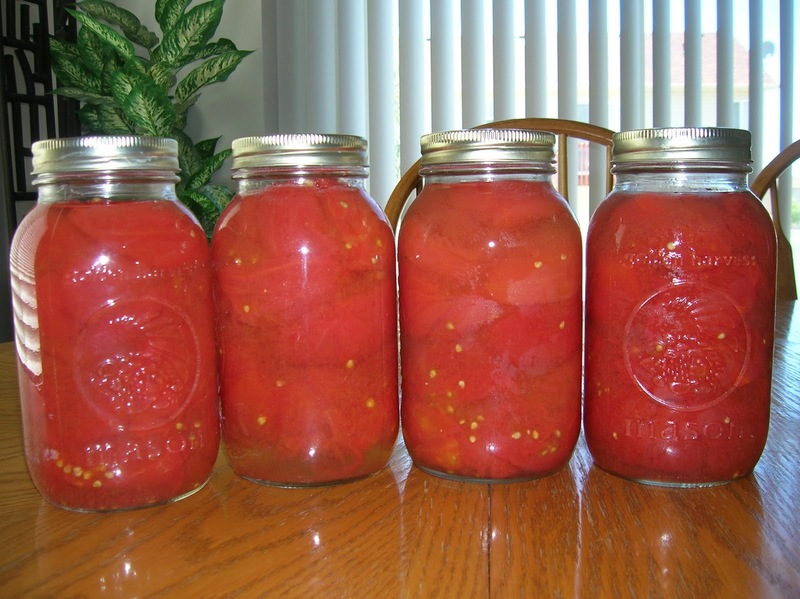 Yesterday, I canned a small batch of tomatoes that we picked from our garden. I can’t believe it’s already that season! I only started canning last year, and I was a little apprehensive to start because I really didn’t know what I was doing. When I was younger, my mother canned all of the time, but my assignment was to peel, pit or cut the fruit. So doing the whole process by myself seemed a little overwhelming. However, thanks to my mother-in-law who took time last year to can peaches with me, the process was much easier than I expected. It’s enjoyable for me to see the outcome of hard work. And I really do like canning now, especially since it saves our family money each year. 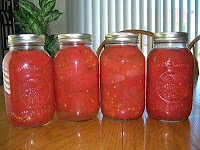 I am canning tomato sauce today! Good job Lisa. Also, I just got a recipe for apple pie filling that I’m going to try later in the season. If you are interested in tackling it I will send it to you. Good luck!